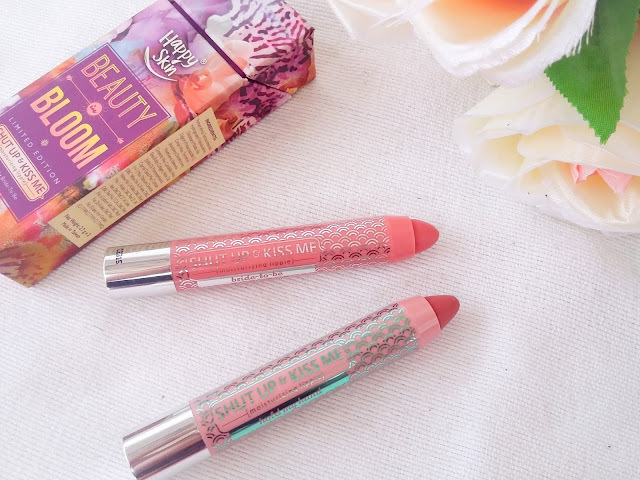 I've been dying to get these cute lipsticks eversince I was aware of the existence of Happy Skin cosmetics. Pastel colors are just so soothing in the eye that made me want to get these. Happy Skin's color and naming convention is very cool. I was intrigued when I saw this Shut Up and Kiss Me series. Lip crayons became a hit few years back and my curiosity kills me why is it so hit? What's so special with these lip crayons that is not on regular lipsticks? 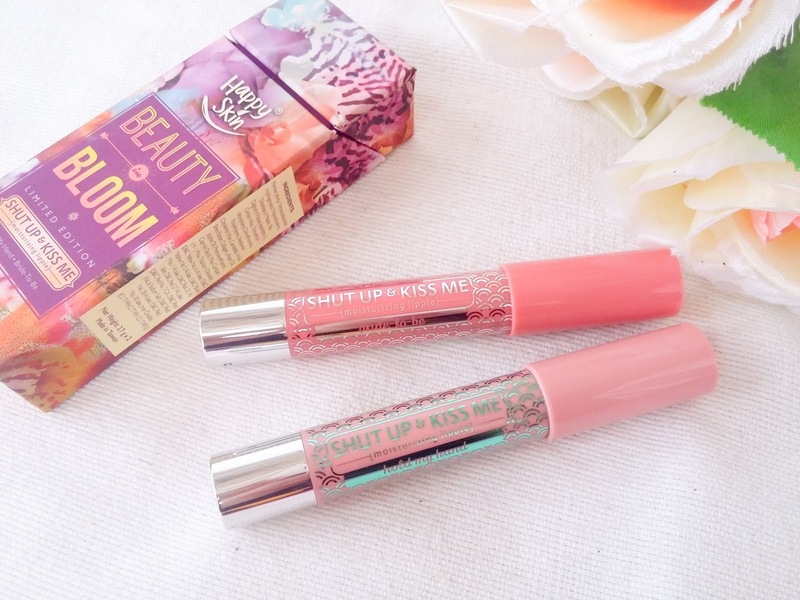 The Happy Skin Shut Up and Kiss Me moisturizing lippies are sure to help you make that smackin' statement. 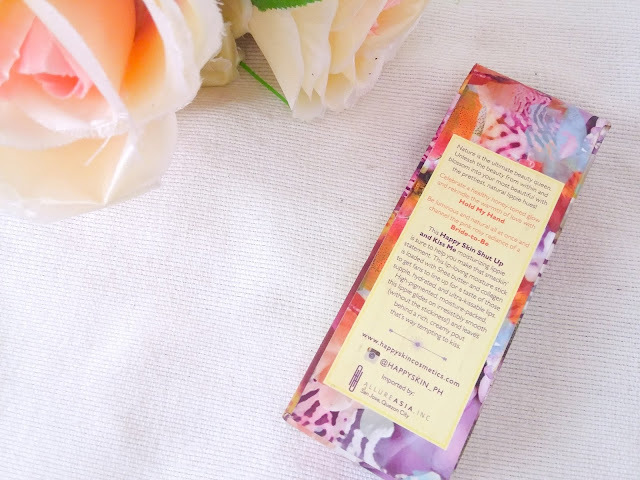 This lip-loving moisture stick is loaded with Shea Butter and collagen to get fans to line up for a taste of those supple, hydrated, and ultra kissable lips. High-pigmented, moisture-packed, this lippie glides on irresistably smooth and leaves behind a rich, creamy pout that's way tempting to kiss. Be luminous and natural all at once and channel the pink rosy radiance. Me, being not a fan of creamy lipsticks, just went gaga over this one. 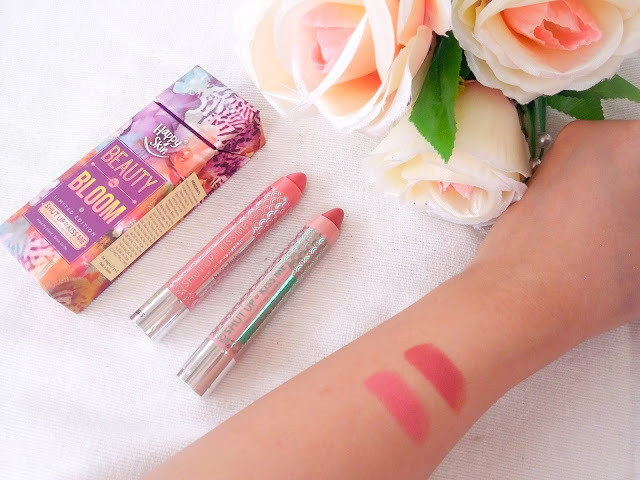 The Happy Skin Shut Up and Kiss Me Beauty in Bloom lipstick collection is just wow. I was expecting this to satisfy me knowing that it costs a bit high at 999php. And guess what? It did! 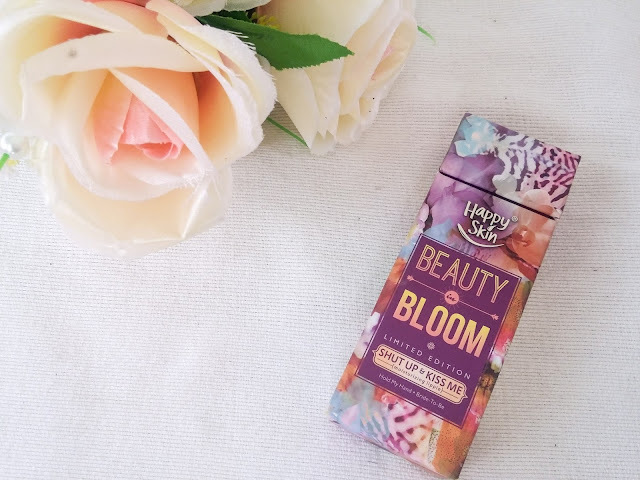 This high-pigmented lip make up does the job to moisturize and hydrate the lips that most matte lipsticks cannot do. Creamy lipsticks are good too if you want your lips to feel smooth and kissable. 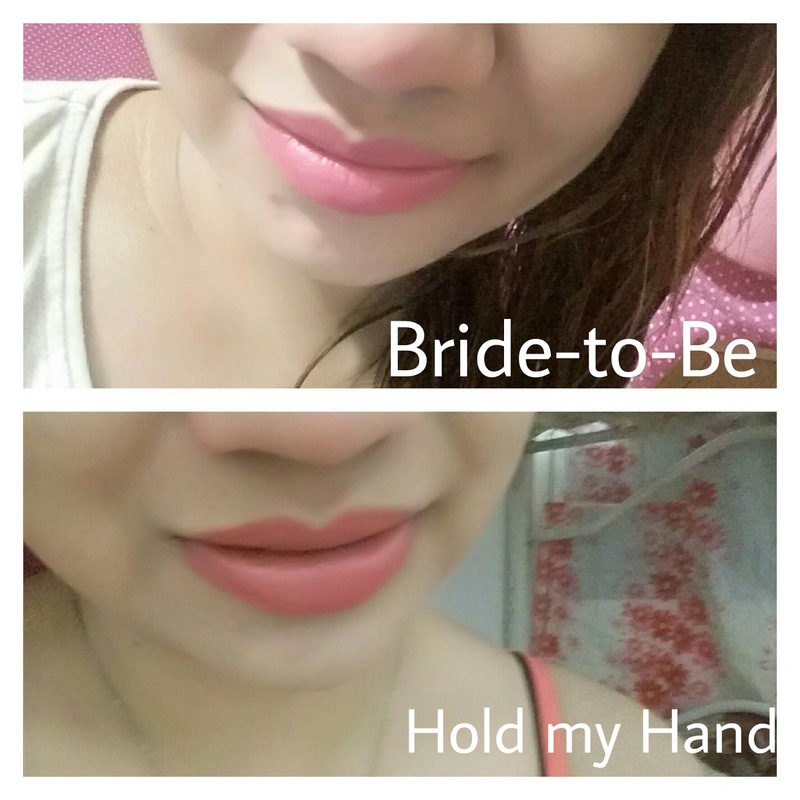 Unlike matte lipsticks, creamy lipsticks doesn't have a dry finish. Most of the time it will feel sticky, but using this one didn't make me uncomfortable at all. 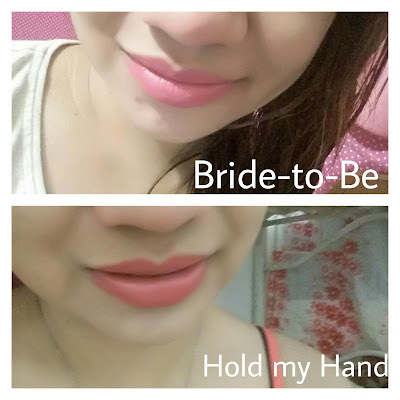 Of the two shades, I like the Hold My Hand variant because of its coral shade. But the Bride -to-Be is nice too with its pink chic shade, but I think I'm giving it to my sister. I have graduated to using barbie lips. Hihi. The staying power takes 4-5 hours without retouch. The thing that I hate about creamy lipsticks is that it stains whenever I drink. But this is a good one if you want to invest on good lipsticks. I honestly bought this because of the cute packaging but I ended up loving it more. I would recommend this lipstick to ladies who are into hydration and moisture on their lips. Super effective!